Classify automatically detects if a player is building, mining, exploring, fighting or idle. The result can be published in the tablist. 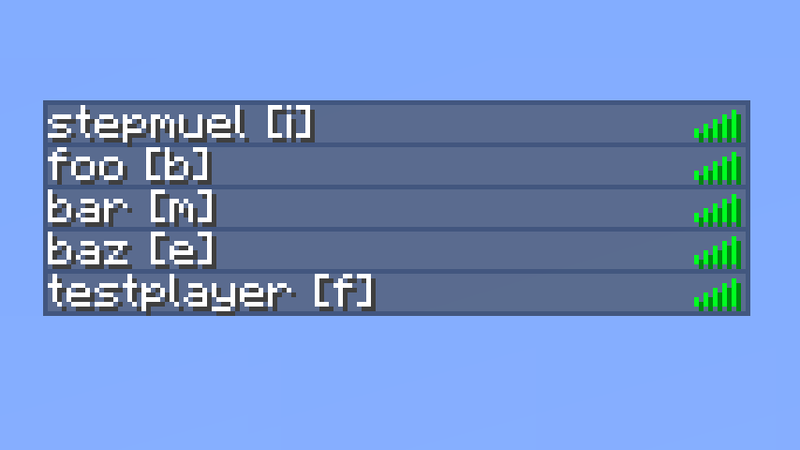 This makes it easier to find other players for projects or adventures. Important: Classify requires the Epilog plugin in order to work. Epilog provides Classify with the data it needs for the classifications. The classes are represented by their starting letter. For example, [f] will be appended to the username while a player is fighting. /classify hide [on | off | read] can be used to manage wether your current class is shown to other players. Classify is part of the HeapCraft Collaboration Tools. You'll find the source code and a test server with the plugin installed on that site. The plugin versions found at heapcraft.net may not have been approved by the BukkitDev staff. Use them at your own risk. How do you like Classify? Tweet us @HeapCraft.